The company which unveiled the new Harley-Davidson Street 750 and Street 500 motorcycles - its first all-new platform in 14 years at Milan - said it will start building the two new models in India in the first quarter of next year. Harley-Davidson, the iconic US cult bike maker, will start full-scale 'building' of motorcycles in India and export them to European and South East Asian market. "We are excited about the potential of the Indian market and around the world, particularly in regards to the response we have had from young adults... We are going to utilise our plant in India to build the 'Street' models not only to cater to the market there but also export to Europe and South East Asia," Harley-Davidson Motor Co President and COO Matthew Levatich told PTI. Since early 2011, Harley-Davidson has been assembling motorcycles in India at its CKD (completely-knocked-down) assembly unit at Bawal in Haryana catering only to the market here. India is the second country where Harley-Davidson has CKD assembly operations outside the US, after Brazil. "Now what we are going to do is that instead of the CKD kits coming from our plants in the US, the parts will now directly come to India from vendors and bikes will be assembled there," he said. Local fabrication of fuel tanks and fenders will also commence in India with the two new models, scaling up the company's production operations to almost full scale manufacturing from the earlier assemble operations. 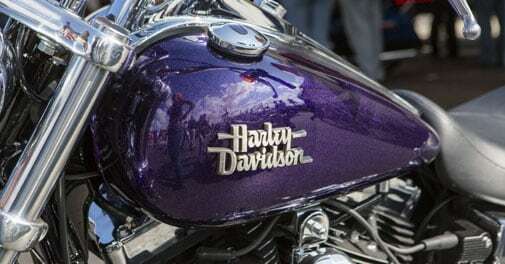 Levatich, however, said the 'building' of Harley Davidson bikes in India will be restricted only to the two new models. Elaborating on the export plans of the Street models, he said: "We will start with Spain, Italy and Portugal. This will start almost simultaneously when we launch the Street 750 (rpt 750) in India in the spring of 2014. Exports to South East Asia will not happen in the first year, we will evaluate the markets first." For the Indian market, the company will launch only the Harley-Davidson Street 750. The company has not announced the prices of the two new bikes yet. The Street 750 and Street 500 from Harley-Davidson look to cater to the urban environment. Powered by the new, Revolution X engine, these bikes have been designed to match the demands of stop-and-go traffic. Currently, Harley Davidson offers a range of 11 models from each of its five families - Sportster, Dyna, Softail, V-Rod and Touring - in the Indian market. When asked about the sales growth in India, Harley- Davidson India Managing Director Anoop Prakash said the company is looking at a cumulative total of over 4,000 units by the end of 2013 for the 2010-13 period without sharing details.